Chic outdoor furniture make your backyard a place where you want to hang out all summer. If you are good at doing DIY things you don’t need to spend a lot of money to have amazing furniture for your outdoor space. We have collected the list of 10 outdoor furniture ideas that is for sure bring a unique flair to your outdoor space. 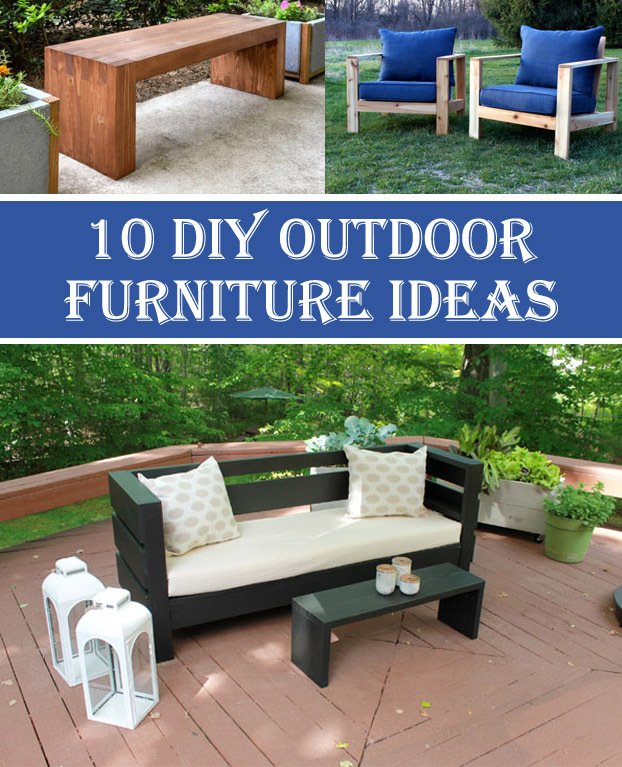 So, take a look at these DIY Outdoor Furniture Ideas for inspiration. Thank you for sharing your ideas on outdoor furniture. I agree that having a cool outdoor furniture will make your backyard a second living space where friends and family would want to hang-out on, especially in the summer. Your idea about a double chair bench with a table will surely look good in my backyard. As I am not confident in my DIY skill, I’ll see if I can get something with a similar design online.